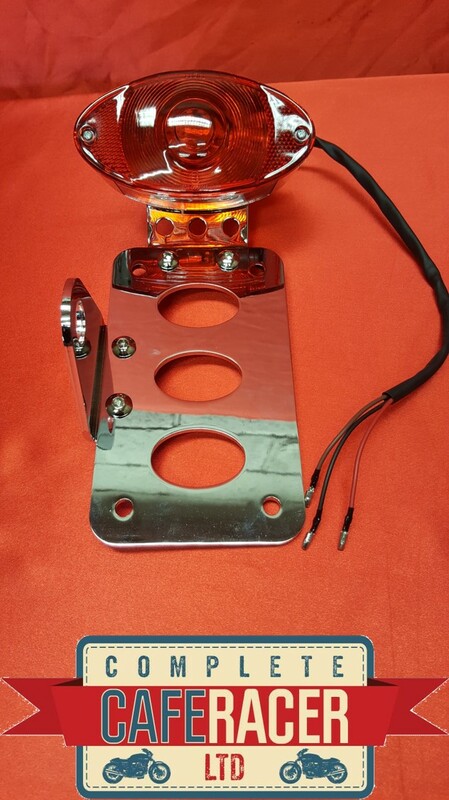 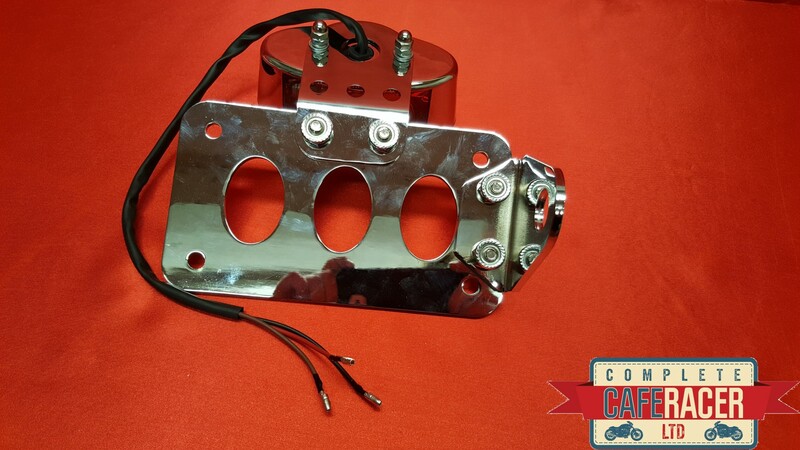 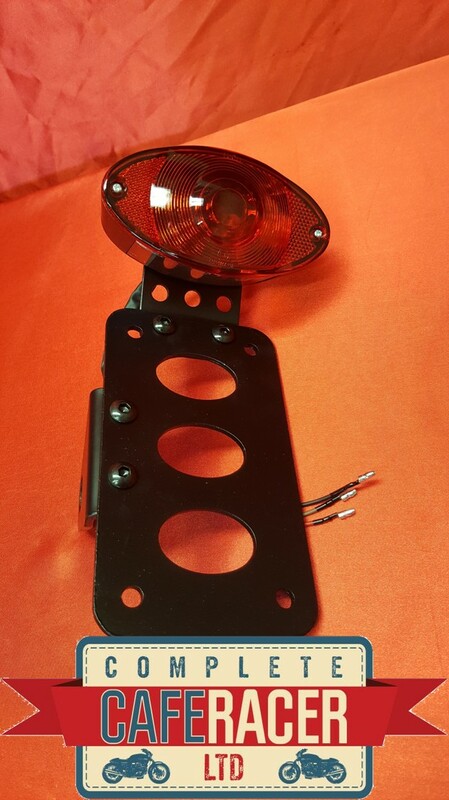 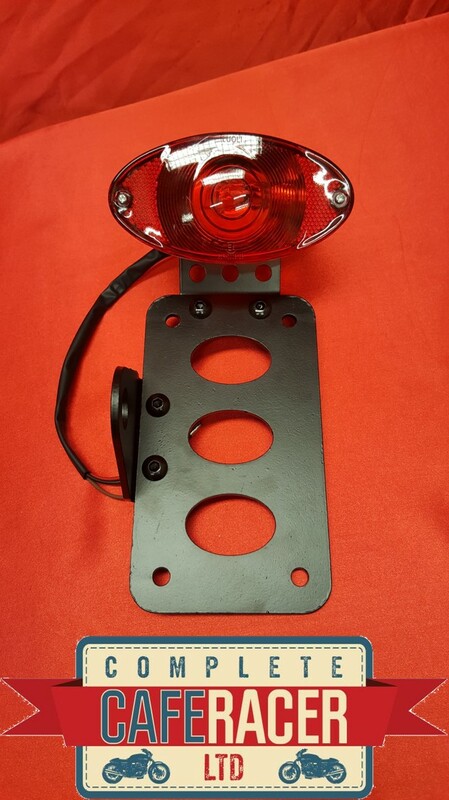 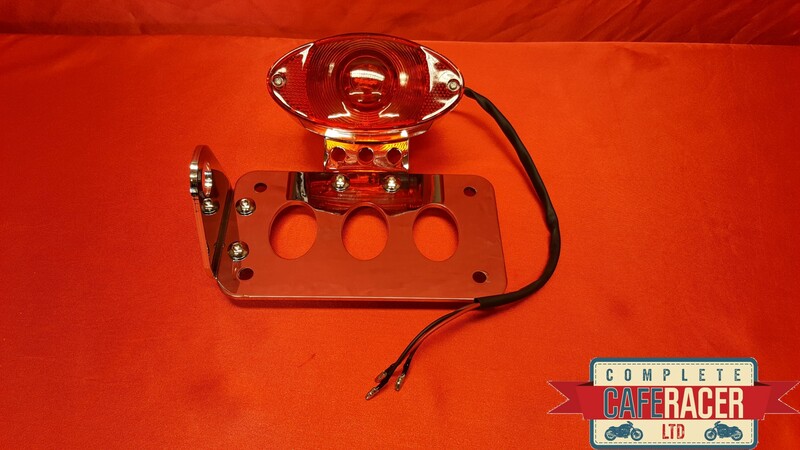 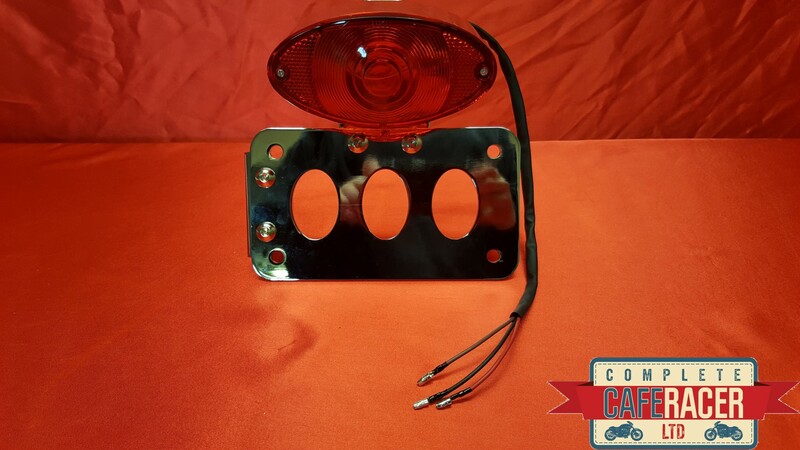 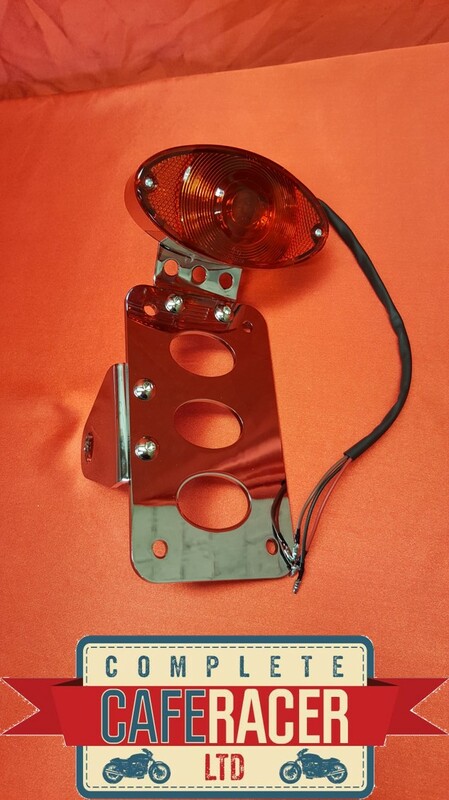 The (SM1) Cafe Racer Side Mount Number Plate Bracket With Stop, Brake and Number Plate Light is a small cat eye light with a red lens and either a black or chrome bracket. 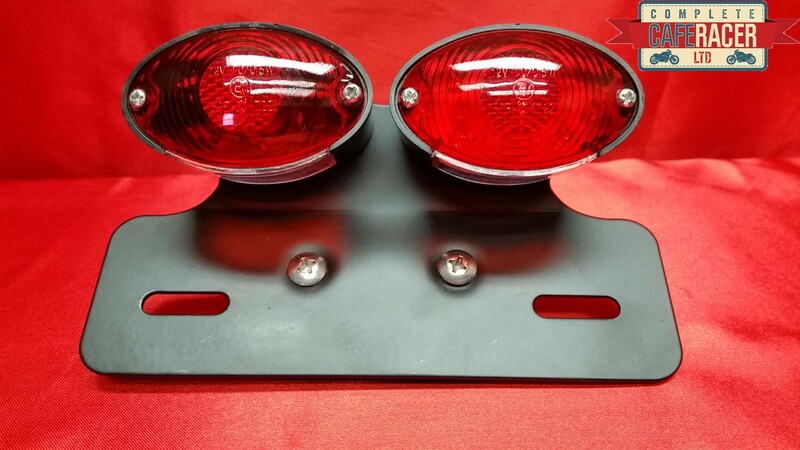 Side mounts can be mounted either vertically or horizontally and on the left or right side depending on your preference. 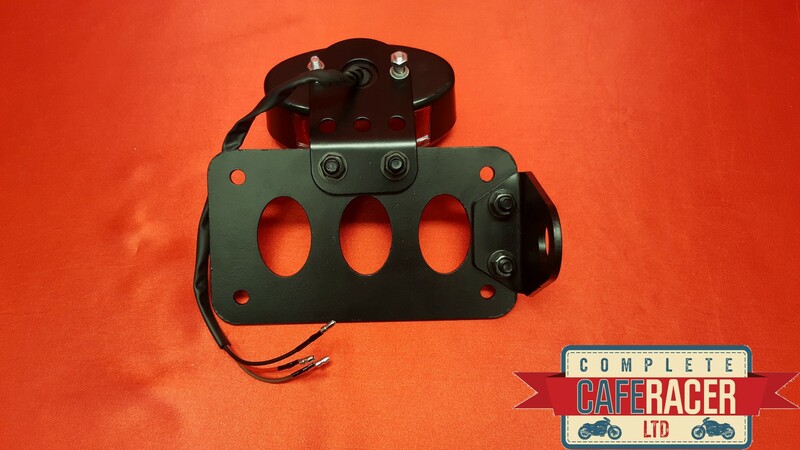 All of our side mounts are small and easy to fit. 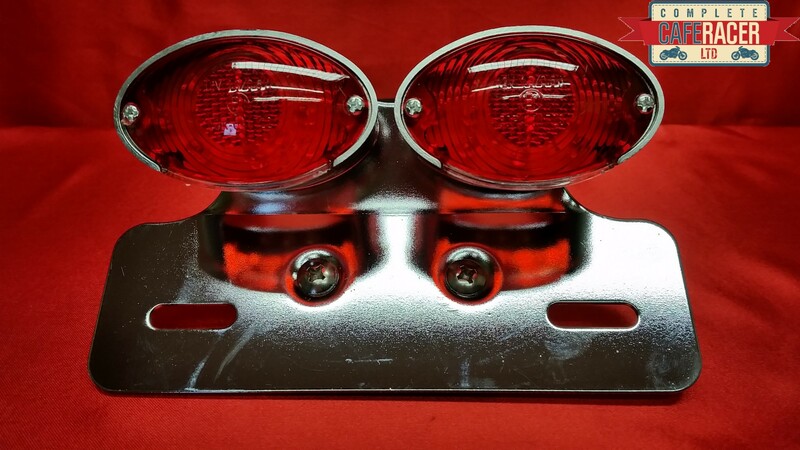 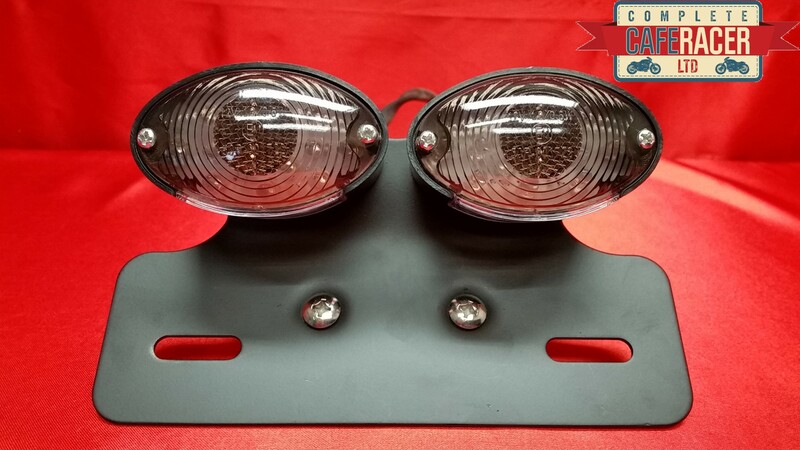 We have a variety of different styles of light from newer styles to the classic rear light look. 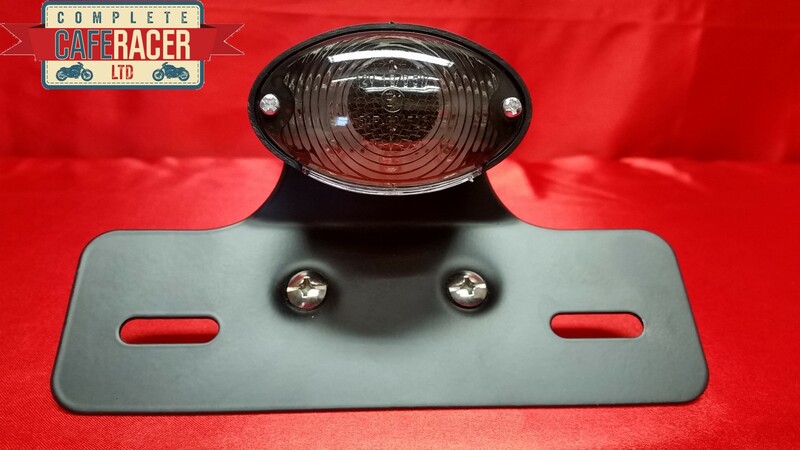 We are sure that we will have a side mount that is suitable for your bike!